The death of Venezuelan President Hugo Chávez has prompted the international left to acknowledge two key features about him and Venezuela’s Bolivarian Revolution. The first is Chávez’s commitment to fighting for the poor and oppressed. Plenty of statistics demonstrate this. Literally millions have been lifted out of poverty and given new opportunities to improve their lives. Examples from daily life abound. I remember speaking to an upper class anti-Chavista once who was complaining about how, since Chávez came to power, it had become difficult to find maids. Many of the poor women she used to hire, she explained, had enrolled in a free education program provided by the government, one of the highly successful ‘missions.’ Another time, an empanada maker who lived with his son in the same 10-foot by six-foot stand he cooked out of told me how, since Chávez arrived, his community became emboldened to organize themselves into a cooperative with the mission of fighting the hotel and restaurant chains in the area, and create a community controlled tourist zone. 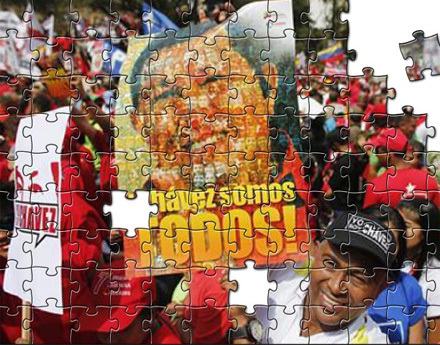 The puzzle known as Hugo Chávez. A second feature about the Bolivarian Revolution also cannot be elided: the political impasse in addressing corruption, bureaucracy, political clientalism and finding an alternate model of economic management. When workers organize to take over a factory (for example, Sidor in 2008), they have to fight not only the capitalist owners, but often also the local or provincial government (even at times Chavista ones). If they win the fight, workers then have to struggle with government supervision, which often seems more concerned with meeting technocratic goals, rather than developing a genuine participatory democracy in the workplace. And, as the latest round of currency devaluation shows, unless added measures are forthcoming, it is the poor who will bear the burden of reduced living standards (through inflation) for the problems of economic management without compensatory gains in increased workers’ power in workplaces (Lebowitz, 2013). This top down tendency is also expressed in the area of foreign policy. 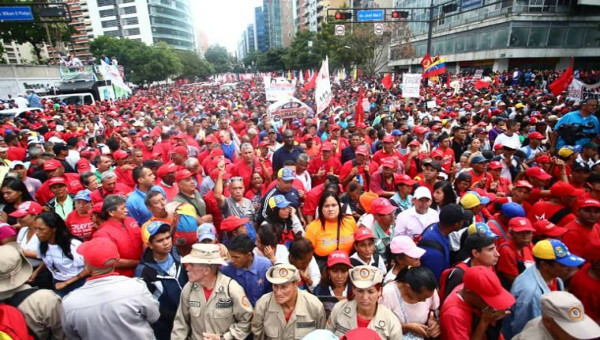 When the ‘Arab Spring’ erupted, rather than supporting those struggling in the streets of Egypt and Syria, a one-dimensional anti-imperialism had Chávez aligning Venezuela with the oppressors, rather than siding with the poor and workers and against imperial interventions. There is also the alliances with the likes of Vladimir Putin and Mahmoud Ahmadinejad that go beyond the necessities of finding support against Western imperialism and U.S. empire. However, hidden within these two opposing developments is a third, potentially more vital one. As a result of the Bolivarian Revolution, we can now begin to think of what in recent decades had become unthinkable, namely a socialism in the 21st century. In the 20th century, socialist politics predominantly took two forms. The first was the path taken by social democratic parties that sought social transformation by populating the state with reform-minded officials and proceeding to attempt to manipulate the economy from above through a variety of technocratic measures. At best, this would eliminate the worst abuses of capitalist markets. ‘Cast your vote and leave it to us’ was the technocratic message to the working classes. Venezuela’s path, which has confused the majority of commentators, has been neither one of the above. It is both. Communities and workers have been organizing from below; and technocrats and bureaucrats have been passing laws from above. Each fights and cooperates with the other in an uneasy alliance. 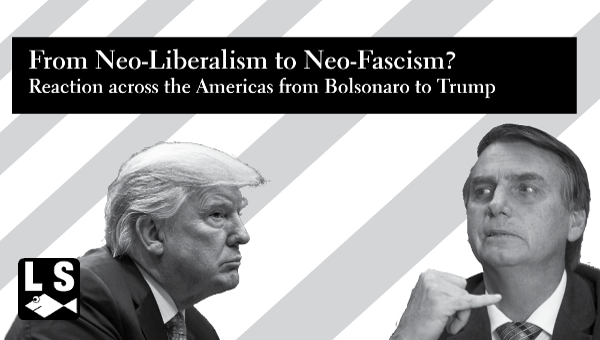 In a way, over the last decade Venezuela resembles the political theorist Nicos Poulantzas’ (1978) alternative to the above two paths, what he called a “democratic road to socialism,” where struggle for a transition necessarily has to take place through, against and apart from the state. Similarly, more contemporary thinkers (such as Ciccariello-Maher, 2007) have conceptualized this path as having features of dual power through, rather, than against the state. This is not, however, all that is happening in Venezuela. If it were, all Venezuela would demonstrate is how it is not possible to take two seemingly incompatible paths at the same time; and that the forces of bureaucracy, because of their institutionalized power, are likely to win out over time in a lengthy battle of attrition. But Venezuela is also showing that something new is being created. Venezuela’s co-managed ‘socialist enterprises,’ an initiative Chávez was central in developing, perhaps best illustrate this point. In these relatively new enterprises, the class relation expresses itself most forcefully in the struggles between workers and state managers. Although at first it appears that this is the same old capital-worker relationship, but with a different name, upon closer inspection, something more complex is happening. Unlike workers in unions that tend to struggle for things like higher wages or labour rights, workers in these enterprises tend to struggle for things like equal wages, genuine democratic participation, and the elimination of a rigid social division of labour within the plant.1 In other words, this is a more developed form of the class relation, a sharper form, one that Poulantzas was able to hint at, but was not quite able to fully articulate. Thus herein lies the importance of Venezuela. As workers struggle against managers in these state-owned enterprises, we begin to see a glimpse of what 21st-century socialism might look like. In other words, we get a glimpse of the future. In this future, it is new workplace relations centered on participatory democracy that stand on the side of progress, while it is the state that, paradoxically, becomes the guarantor of the class relation, and therefore the sight of the next rupture. There is so much more to be learned from the Bolivarian Revolution. Here, I’ve only been able to barely scratch the surface. The communal councils, the struggle to build the new communes and communal cities, the experiences with participatory budgeting, the Bolivarian universities; all these and the many other innovations in Venezuela represent pieces of the revolutionary puzzle. A puzzle out of which a new future can be seen right here in the present. A puzzle that, as we are reminded of with his passing, Hugo Chávez played an important role in, opening up the political space and encouraging self-organization of the poor and workers. No revolution can be built by a single person or by decrees from above, no matter how well intentioned. Yet, at his best, Chávez, from the presidential palace, was like an activist in the streets: he told the truth, he risked his life and sung a song of hope. Hope for a better world. Indeed, for another world. Chávez, presente! It is widely expected that Nicolás Maduro, now interim President of Venezuela, will win the upcoming Presidential elections on April 14. If elected President, he has promised to take up the five priorities set out by Chávez in his final strategic proposal, Plan de la Patria 2013-2019 : multipolarity; national independence; Bolivarian socialism; environmentalism; and economic development. What is far from clear, however, is how the contradictions evident in these five priorities can be reconciled by the existing state. 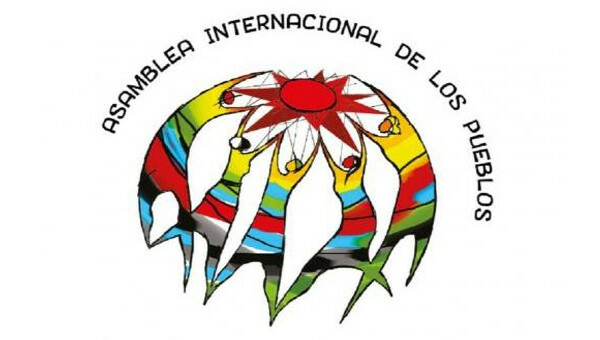 For example, the priority to preserve the planet and save the human species (environmentalism), stands in sharp opposition to the government’s plan to further strengthen the extractive industries in the country, including natural gas, mining and the development of the Faja del Orinoco, which contains the world’s largest known reserves of heavy and extra heavy crude oil, or tar sands. The document does mention the need to develop new technology with low environmental impact, but no further details are provided. 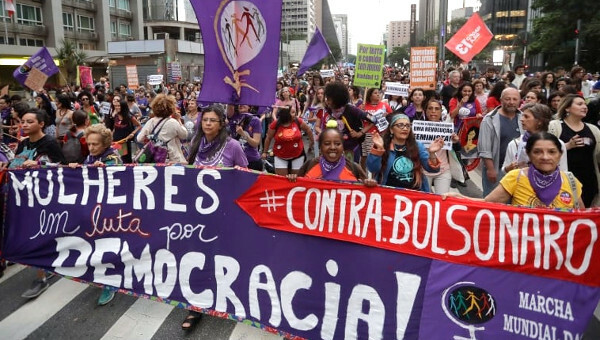 In addition, the goal of deepening participatory democracy as the central mechanism behind ‘Bolivarian Socialism’ clashes with the goal of achieving national independence and ‘multipolarity,’ that is, a world with multiple poles of power that is free of imperialism. Although a worthy enough pursuit in theory, in practice, multipolarity has in some cases translated into open support for leaders such as Muammar Gaddafi and Bashar al-Assad, hardly models of participatory democracy and 21st-century socialism. It is worth mentioning that it was indeed Maduro, as Minister of foreign-policy, that played an important role in developing and maintaining these alliances. In spite of these contradictions, the five priorities outlined also contain a path forward, namely that of strengthening the ‘popular economy.’ That is the building up of the constellation of organizations, such as cooperatives, co-managed enterprises and communal councils found throughout the country. It is these organizations that have the most potential for resolving the above-mentioned contradictions. Consider Pedro Camejo, one of the co-managed ‘socialist enterprises’ located in the city of Carora. With its mission to contribute to the achievement of ‘food sovereignty’ in the country, this enterprise has been providing small and medium local farmers agricultural technology and technical assistance at below market price. As a result, agricultural production in the area has increased considerably in recent years. At the same time, workers within the enterprise have been learning new capacities, skills and values, such as collective management and solidarity, largely as the result of the practice of participatory democracy. In addition, the technology comes from PAUNY, one of Argentina’s ‘recuperated enterprises’ that builds tractors. As part of an agreement, workers from PAUNY traveled to Carora to train the Venezuelan workers and share their experiences in a spirit of international solidarity. Although far from perfect, this one example does demonstrate how the five priorities outlined can be met in a more positive way. The challenge for militants within state agencies and institutions will be figuring out how to strengthen this sector of the economy without suffocating it with bureaucracy. The challenge for workers and communities will be to figure out how to enter these spaces while retaining enough autonomy so that struggles can be launched against the state when needed, as is frequently done. Indeed, workers and communities know something the state doesn’t, namely that participation within these new democratic spaces, although crucial, is only half the equation. The other half is continued organization and struggle from below. Chávez, H. (2012). Propuesta del Candidato de la Patria para la Gestion Bolivariana Socialista 2013-2019. Retrieved from: www.chavez.org.ve/programa-patria-venezuela-2013-2019 [December 12, 2012]. Ciccariello-Maher, G. (2007). “Dual power in the Venezuelan Revolution,” Monthly Review , 59(4), 42-56. Lebowitz, M. (2013). “Working-Class Response to Devaluation Measures in Venezuela,” The Bullet No. 773, Feb. 2013. Poulantzas, N. (1978). State, Power, Socialism . New York: Verso.